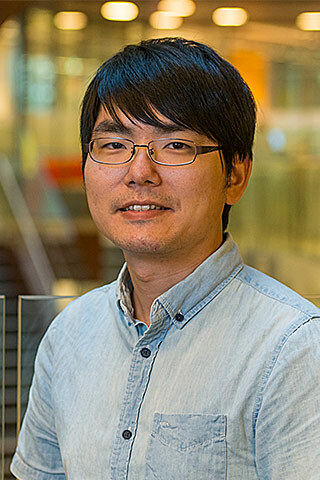 Dr. Chia-han (John) Yang joined Australian Research Council Centre of Excellence for Autonomous Systems (CAS) of UTS in 2013 and has since been a core member working on "Development of a Deployable Climbing Robot for the SHB Inspection and Condition Assessment" project. He completed Bachelor of Commerce (Operations Management) and Bachelor of Engineering (Electrical and Electronics Engineering) conjoint degree from University of Auckland in 2006. He then received his Ph.D degree in Electrical and Electronics Engineering from University of Auckland in 2011. His main research interests include robotics, software development, automation and distributed control systems. This paper presents a survey on model-driven design and validation approaches for distributed automation and control systems with essentially decentralized logic. Driven by the goals of flexibility and performance improvement, researchers have explored several approaches to distributed systems design, including multiagent systems, middleware, and distributed component architectures. This also results in several international standards and reference architectures, such as IEC 61499, OpenRTM, IEC 61804, etc. Verification and validation of distributed systems is another grand challenge. This survey presents methods of using traditional and novel modeling and simulation tools in the context of distributed systems. In particular, this paper then focuses on the developments related to IEC 61499 standard, which displays a range of research directions that aim to fill the gaps in the distributed systems modeling, implementation, and validation. This paper proposes a cosimulation environment for 'hardware in the loop' or 'software in the loop' validation of distributed controls in a Smart Grid. The controls are designed using model-driven engineering with the IEC 61499 Function Block architecture. These are connected with plant models, for example, in Matlab/Simulink, through communication channels such as UDP or TCP sockets. This solution enables multi-closed-loop plant-controller simulation. The communication between plant and controller is event-driven. In order to perform a realistic simulation, the proposed solution takes into account computation and communication delays on the controller side in Function Blocks and compensates model time on the plant side in Matlab model accordingly. Causality and accuracy of the method have been formally addressed. This approach has been tested and demonstrated with several Smart Grid-related examples. This paper presents a new framework for design and validation of industrial automation systems based on systematic application of formal methods. The engineering methodology proposed in this paper is based on the component design of automated manufacturing systems from intelligent mechatronic components. Foundations of such components'information infrastructure are the new IEC 61499 architecture and the automation object concept. It is illustrated in this paper how these architectures, in conjunction with other advanced technologies, such as Unified Modeling Language, Simulink, and net condition/event systems, form a framework that enables pick-and-place design, simulation, formal verification, and deployment with the support of a suite of software tools. The key feature of the framework is the inherent support of formal validation techniques achieved on account of automated transformation among different system models. The paper appeals to developers of automation systems and automation software tools via showing the pathway to improve the system development practices by combining several design and validation methodologies and technologies. © 2008 IEEE. the climbing robot in real-world steel bridge environments. structures inside the bridge steel box girders. This paper presents an exploration approach for robots to determine sensing actions that facilitate the building of surface maps of structured partially-known environments. This approach uses prior knowledge about key environmental features to rapidly generate an estimate of the rest of the environment. Specifically, in order to quickly detect key features, partial surface patches are used in combination with pose optimisation to select a pose from a set of nearest neighbourhood candidates, from which to make an observation of the surroundings. This paper enables the robot to greedily search through a sequence of nearest neighbour poses in configuration space, then converge upon poses from which key features can best be observed. The approach is experimentally evaluated and found to result in significantly fewer exploration steps compared to alternative approaches. Inspection of bridges often requires high risk operations such as working at heights, in confined spaces, in hazardous environments; or sites inaccessible by humans. There is significant motivation for robotic solutions which can carry out these inspection tasks. When inspection robots are deployed in real world inspection scenarios, it is inevitable that unforeseen challenges will be encountered. Since 2011, the New South Wales Roads & Maritime Services and the Centre of Excellence for Autonomous Systems at the University of Technology, Sydney, have been working together to develop an innovative climbing robot to inspect high risk locations on the Sydney Harbour Bridge. Many engineering challenges have been faced throughout the development of several prototype climbing robots, and through field trials in the archways of the Sydney Harbour Bridge. This paper will highlight some of the key challenges faced in designing a climbing robot for inspection, and then present an inchworm inspired robot which addresses many of these challenges. C. h. Yang & V. Vyatkin 2010, 'Model transformation between MATLAB simulink and Function Blocks', 2010 8th IEEE International Conference on Industrial Informatics, 2010 8th IEEE International Conference on Industrial Informatics, pp. 1130-1135. C. h. Yang & V. Vyatkin 2008, 'Design and validation of distributed control with decentralized intelligence in process industries: A survey', 2008 6th IEEE International Conference on Industrial Informatics, 2008 6th IEEE International Conference on Industrial Informatics, pp. 1395-1400.